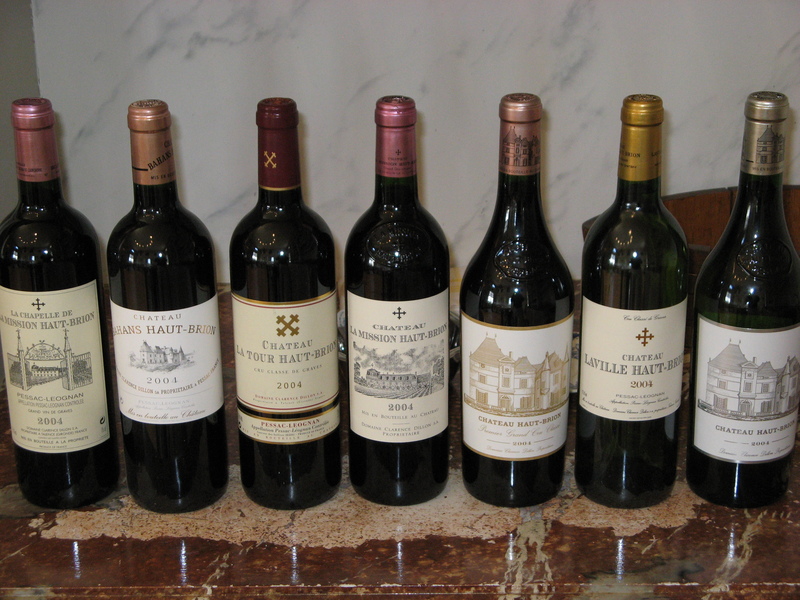 A wine appraisal performed on various bottles of vintage Chateau Haut Brion. Protecting your wines and wine collection from a potential calamity may not have crossed your mind recently, but if it has, then this article offers all spirits and wine drinkers some terrific advice in hiring wine appraisals experts and wine appraisers for your wine valuations. Virtually all insurance companies will require a wine appraisal or wine valuation prior to issuing a wine insurance policy for your valuable wine collection. God forbid you should wait until your wine collection has possibly been compromised, or worse destroyed, by heat, freeze, flood, fire, tornado, earthquake, home repair, and or other wine damage. Sommelier Tom DiNardo on a wine tour in France. Not only do insurance companies hire wine appraisers and wine appraisals experts in assisting in the settling insurance claims, but they also use their wine appraisal reports for identifying fraudulent claims. Wine valuations and wine appraisal reports are used by banks for loans and collateral purposes. Both individuals and law firms hire wine appraisers to generate wine appraisals for probate, wills, estates, and divorce settlements. Courts and attorneys use wine appraisals and wine appraisers for counterfeit wine identification, expert witness testimony, and wine consultant services. Wine appraisers often conduct professional wine assessments. When searching for a qualified wine appraiser or wine appraisal expert to perform a wine valuation for your wine collection you will want to ask the following questions from your potential wine appraiser. (1) Are you a designated wine appraiser and how many wine valuations have you performed? What organization awarded your wine appraisal designation? How long was the wine appraisals methodology training program (most programs minimum 18 mos.)? (2) Do you hold the most current Uniform Standards of Professional Appraisal Practice (USPAP – a federal law established in 1986) accreditation? Requires re-certification every two years. (3) Does your wine appraiser have any formal education in wine? A diploma or degree as a sommelier, viticulture, oenology, wine making, etcetera is preferred. Do you possess any professional wine association affiliations? (4) Does your wine appraisal expert have any experience in the wine industry itself? Have you worked in wineries, retailers, wholesalers, distilleries, breweries? (5) Wine companies, auction houses, and storage facilities posing as wine appraisers. USPAP mandates that a wine appraiser has “no direct interest in the wines to be appraised”. The wine appraiser must be involved in an “arm’s length transaction”. These businesses usually are NOT trained appraisers, and they are solely motivated to buy your wine collection which is a direct USPAP violation. (6) Be aware of wine appraiser frauds, hoaxes, and charlatans! Refer to the points above. A wine appraisals expert qualifications or curriculum vitae and references should be readily available and posted on their web site. (7) How do wine appraisal experts and wine appraisers charge for their services? Wine appraisers either charge an hourly rate or a flat fee. Wine appraisal experts charging commissions and percentage pricing for wine valuations is prohibited by USPAP. Wine appraisers are allowed to charge for accrued “travel and living expenses” when performing wine valuations. Wine appraisal experts may also provide the following services: Cause and Origin Investigations; Counterfeit Wine Identification, Scope of Damage Evaluations; Professional Wine Evaluations; Wine Consultant Services; and Expert Witness Services.